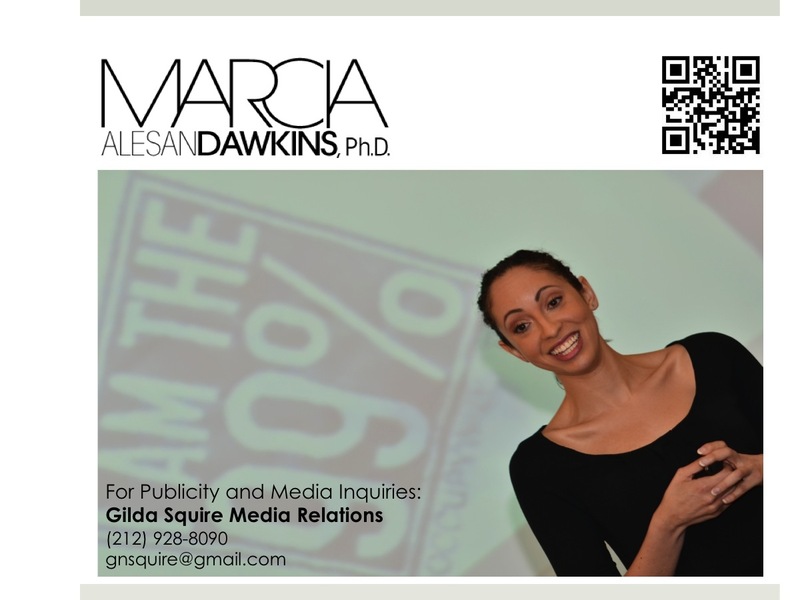 Marcia Alesan Dawkins, Ph.D. is a tech-loving, diversity-oriented intellectual entrepreneur from New York City and communication professor and consultant in Los Angeles and San Francisco. An award-winning author, speaker, media commentator and educator, Dawkins understands how diversity, technology and creative culture are changing who we are and how we communicate. Dawkins -- known to "tweeps" as @drdawkins09 -- has been sought out by Google, BBC World, NPR, AOL Originals, WABC-TV, CDC Radio-Canada, TIME Magazine, Vox, Truthdig, The Root, The New York Times, Fast Company, HuffPo Live, The Leadership Alliance, The Mayo Clinic, The Nashville Public Library Foundation and The Public Relations Society of America, among others. Her first book, Clearly Invisible: Racial Passing and the Color of Cultural Identity, was released in August 2012 to rave reviews. Most notable among these is Valerie Jarrett, Senior Advisor to President Obama, who remarked, "Clearly Invisible is a thought-provoking analysis... that challenges the way we view race and culture in our society." Dawkins's second book, Eminem: The Real Slim Shady, was a finalist for the 2013 USA Best Book Award and was considered for an NAACP Image Award. Her latest book, "Mixed Race 3.0: Risk & Reward in the Digital Age," is a co-edited e-anthology about technology and demographic change. Dawkins has received grants and awards from organizations such as the National Communication Association, the Eastern Communication Association, the Irvine Foundation, the California State University and Google Project Glass. She has been recognized by the University of Southern California for outstanding teaching and mentoring. In addition, she has been awarded residencies and fellowships from Brown University, Vanderbilt University Law School, New York University, Villanova University, East China Normal University and the University of Southern California. Dawkins holds a doctorate in communication from USC Annenberg, master's degrees in humanities from USC and NYU and bachelor's degrees in communication arts and honors from Villanova.